The last day of September and time for this month's edition of the 12 Kit of Occasions! Kim Heggins, is our hostess this month with this super sweet kit featuring cute images and fun underwater inspired papers! 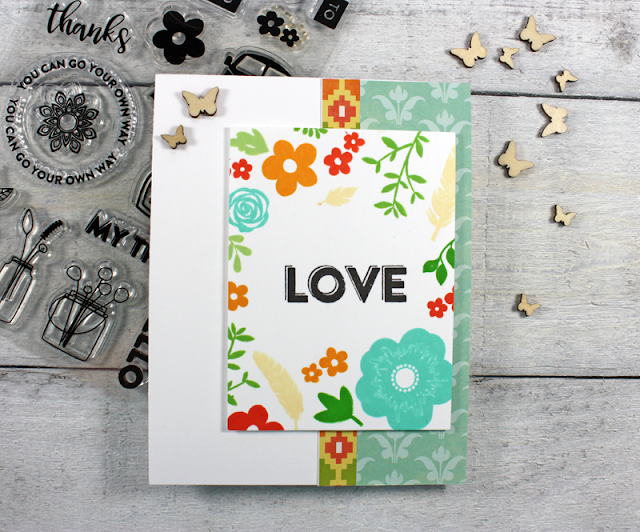 This is the perfect kit to end the summer with and make some cards for my stash. 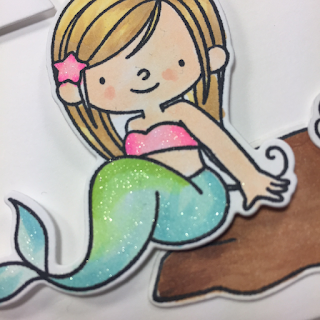 I was super excited to get out my markers and do some colouring! 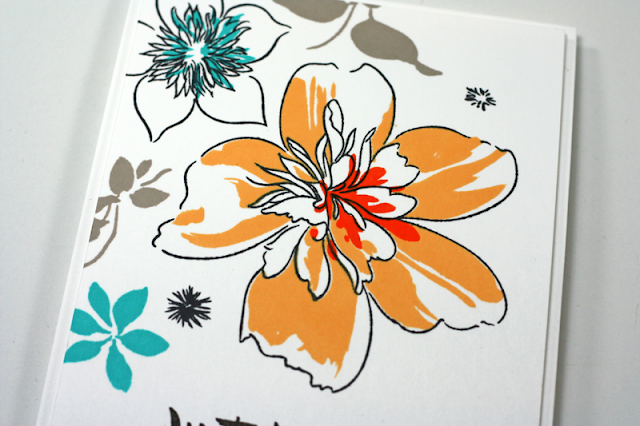 Now for my cards, which came together effortlessly and the colouring was relaxing! You get a look at our kits each month in the fabulous monthly photo collage taken by our photo expert Lindsey Larsen. To have a closer look inside the kit see the bottom of the post! The elusive Wink of Stella! A look inside the kit, this was my desk before I started working on my cards this month. 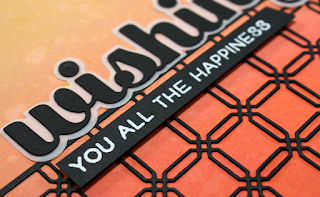 I shared a short video on IG yesterday showing you my Scan N Cut cutting the stamped images that came with the kit in 33 seconds! It is always so much fun to get our kits and to spread it out to get started making cards with them! 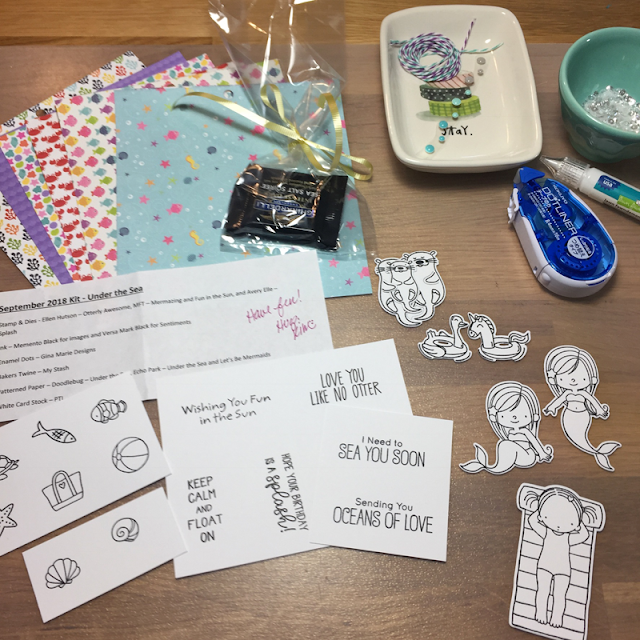 Thank you Kim, it was such a fun kit! 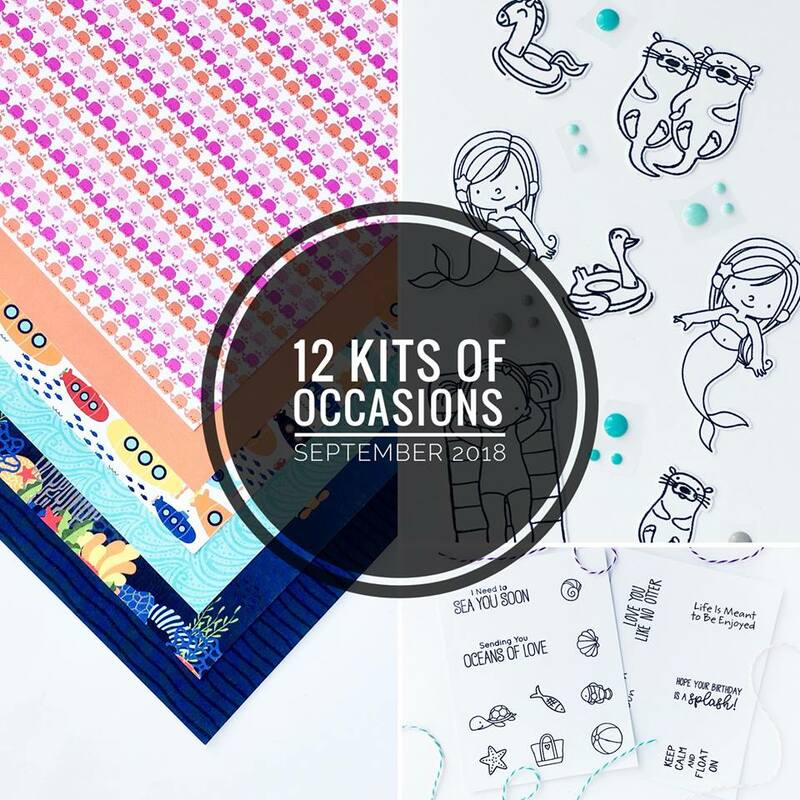 Please head back to the 12 Kits blog to see what the rest of my talented teamies did with the same supplies and to find out who is playing along with us this month! 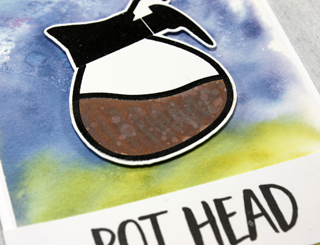 So excited to be posting today on National Coffee Day for the National Coffee Day Blog Hop! Well it you know me you know I am a pot head! My day just can't get started without a cup of coffee in my favourite mug. 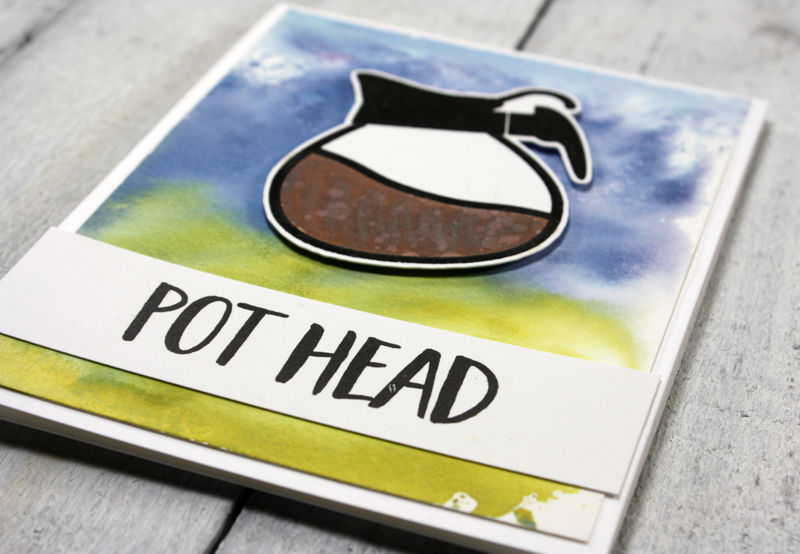 I am posting along with the girls over at A Jillian Vance Design , who is one of the Super Sponsors, using their super fun Simply Said: Pot Head 3/4" stamp set! I stamped and embossed the pot with black Versafine ink and clear embossing powder, then coloured the image in with Walnut Stain Distress Oxide ink with a mini dauber and filling it in with my waterbrush. 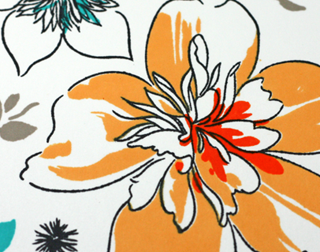 Once dry I flicked some water onto the pot and picked up some of the colour with a clean paper towel. My background was made from a watercolour panel smooshed with Faded Jeans and Peeled Paint Distress Oxide ink. I ran the stamped coffee pot through my Scan N Cut and then I was able to pop the pot up with some foam tape for dimension. There are over $400 in prizes to be won. I have a post and a video up on the A Jillian Vance Design Blog today! 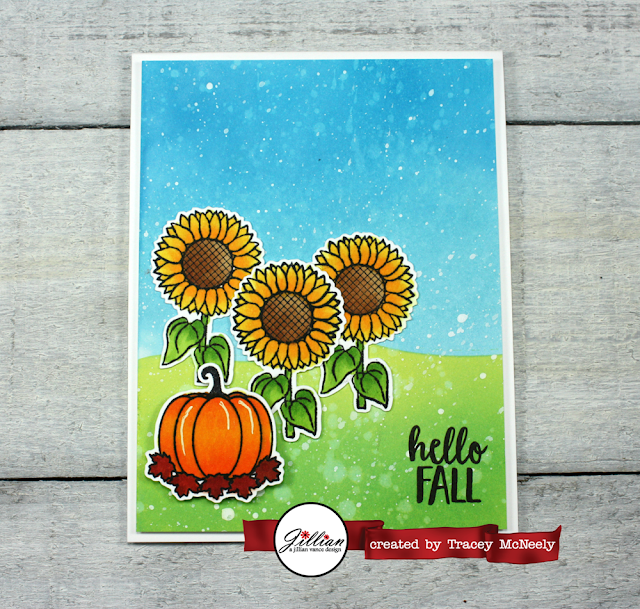 I used the gorgeous Grand Leaf Trio dies to do some colouring with Catherine Pooler inks! 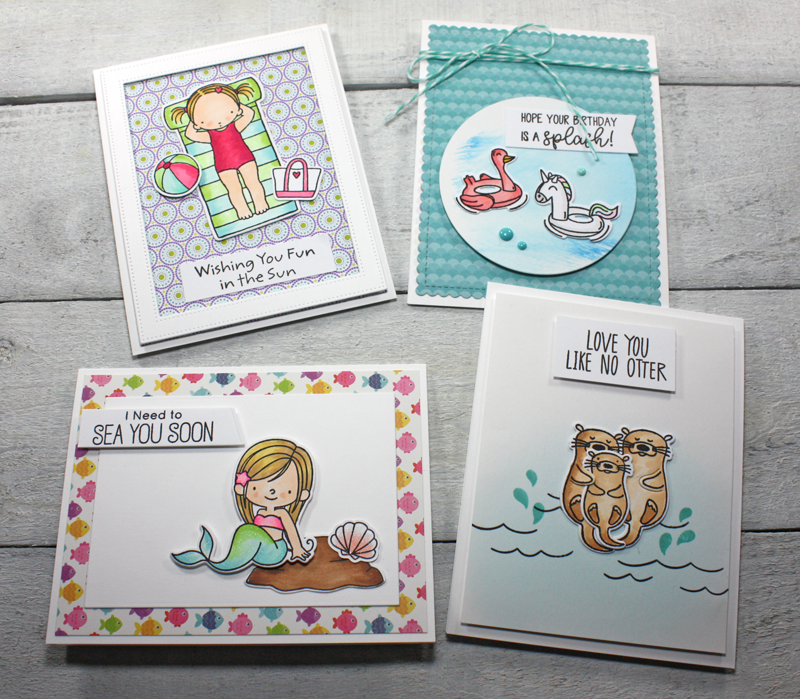 See you over at A Jillian Vance Design! 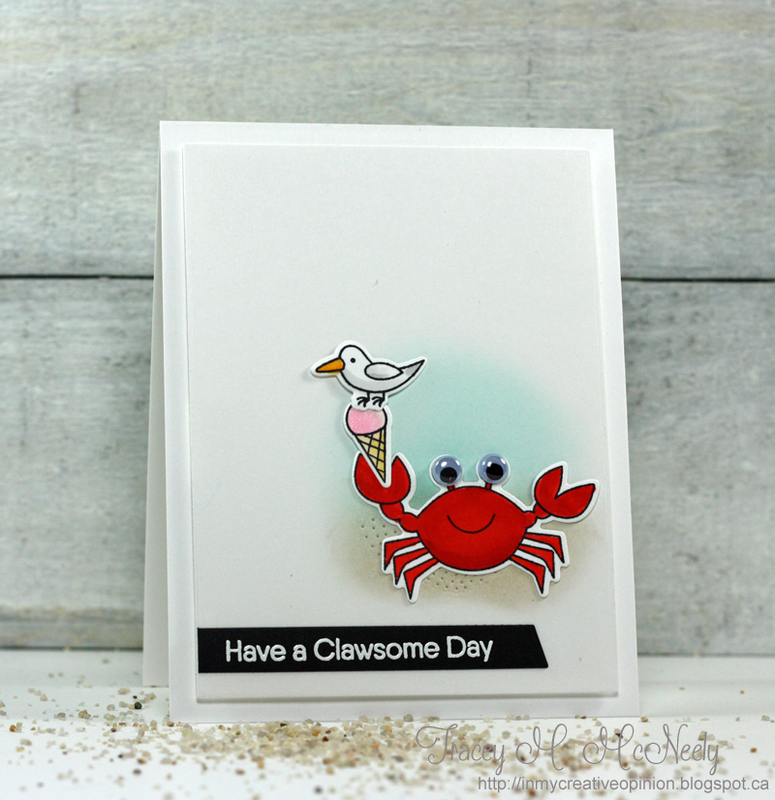 Time to share a couple of cards that I made this month for Jillibean Soup using the newest Too Cool for School stamps, dies and embellishments. 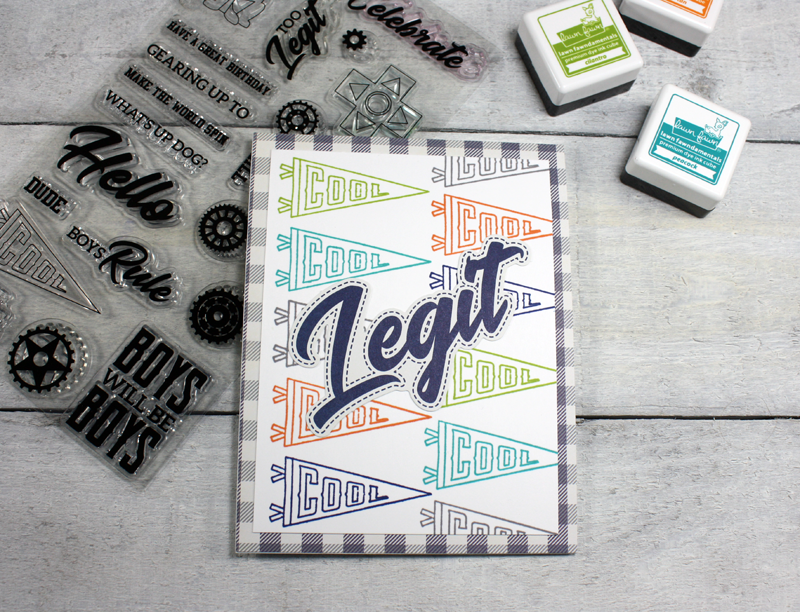 These products for me can be used to create some really fun masculine cards for the guys in your life! Both of these cards use the matching stamp set as the focus of the card with the papers and a few embellishments as the closers. For my first card I stamped the 'cool' banner from the 2 Cool for School stamp set repeatedly to create a custom background paper. 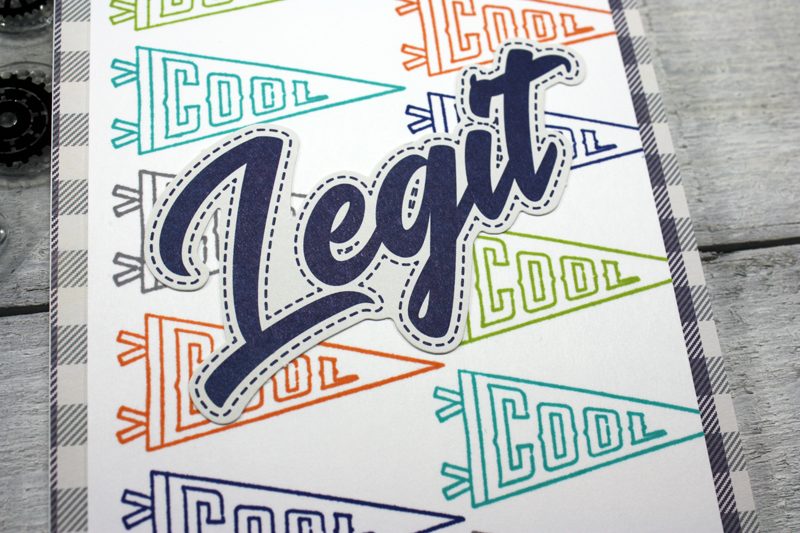 I finished it off with Too Legit patterned paper from the background and a large Pea Pod part from the collection. 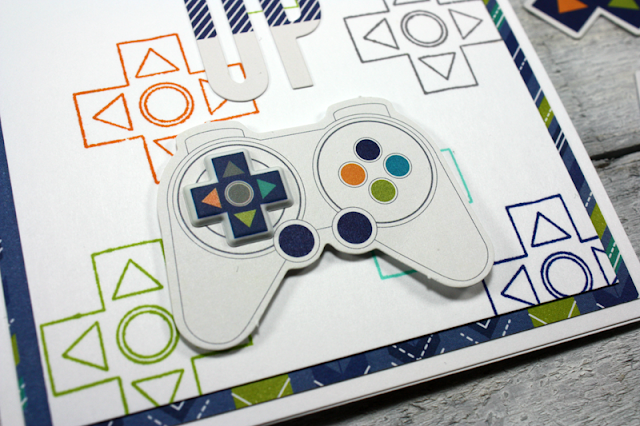 For my second card I used the 2 Cool for School stamp set once again this time randomly stamping the control button from the game controller. 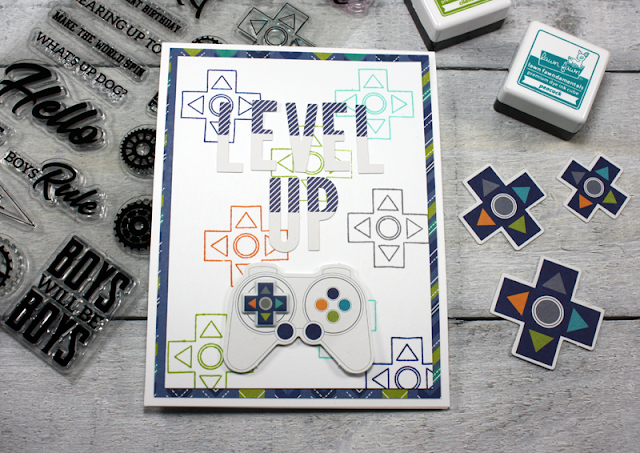 The sentiment was constructed from the Alphbeans stickers and the controller is from the Pea Pod parts and I used a puffy sticker to place over the game controller on it--fits perfectly! 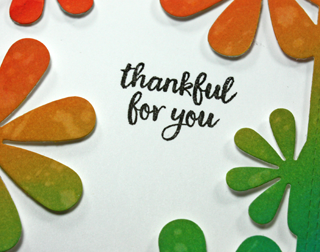 Thanks for popping by today and I hope that I have inspired you to give this collection a try. 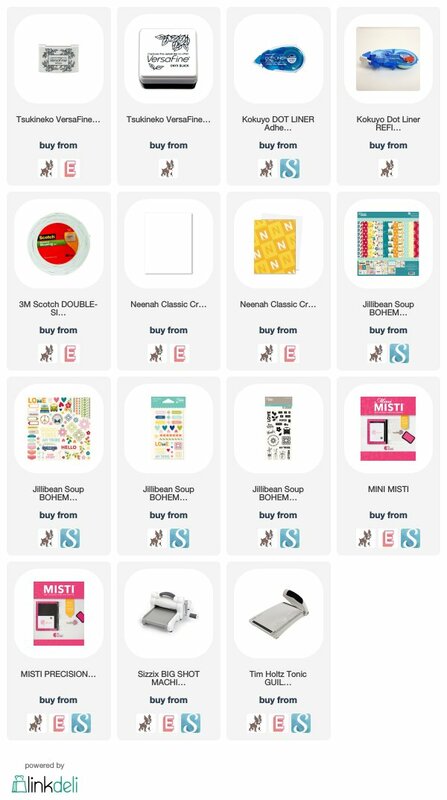 All the products are listed below for your convenience so that you can shop at not additional cost to you! I am up on the Birch Press Design blog today with a video showing you how I made this card with the new Ludlow Triangle Collage die! Hope you enjoy my video. Have a great weekend. I have a post up on the A Jillian Vance Design Blog today using the Dancing Daisies Cover Plate to make a pretty thank you card. Full instructions and the products I used are over on the blog, see you there! Playing a bit of catch up this week. 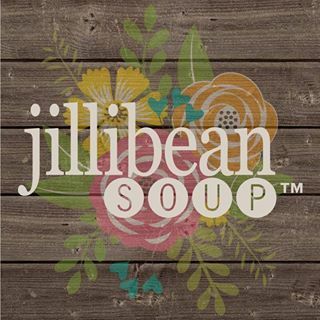 I have a couple cards that were shared on the Jillibean Soup blog last week using the Bohemian Brew collection of papers, embellishments and stamps! 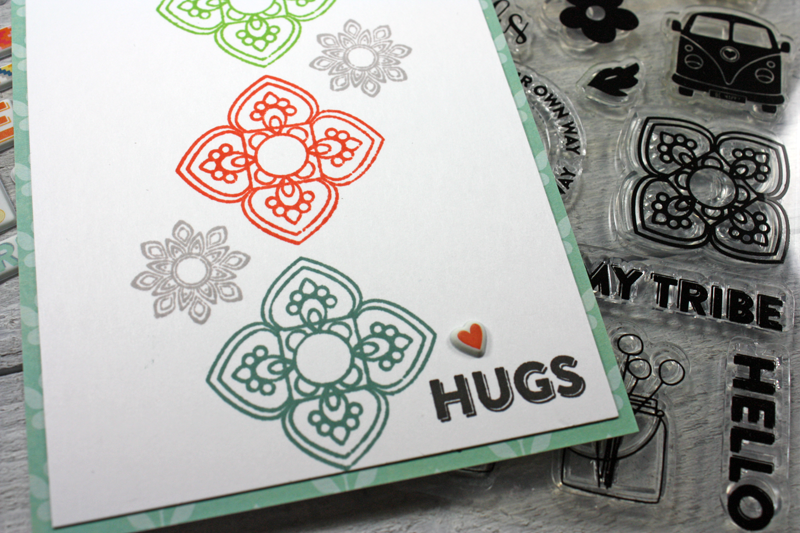 This first one was stamped with the Bohemian Brew clear stamp set in colours that matched with the collection. A great way to stretch your stash! 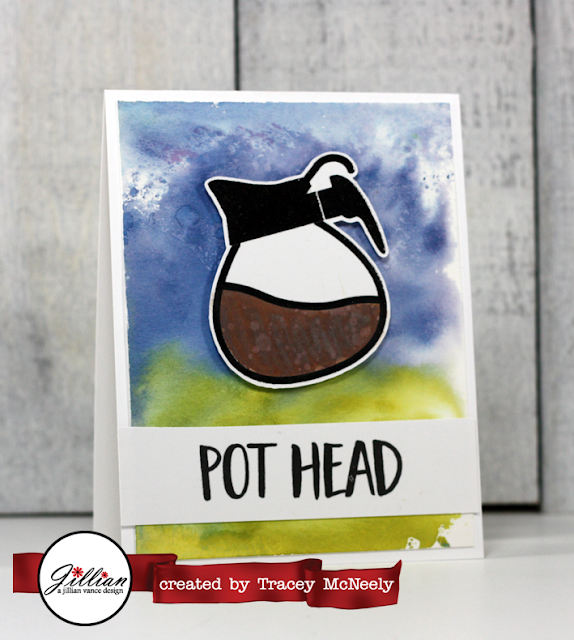 Love making my own designs using the stamps from Bohemian Brew clear stamp set. 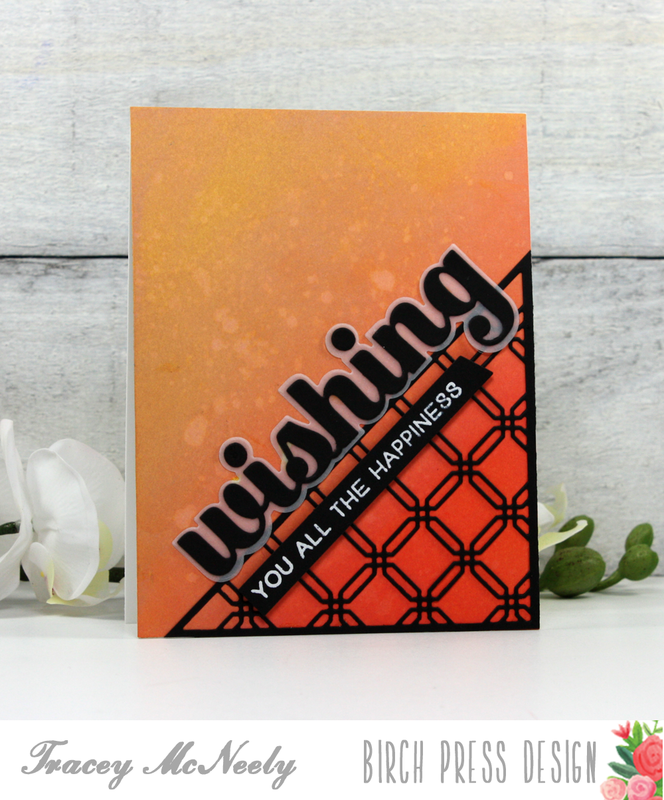 My MISTI makes lining the stamps up so easy! 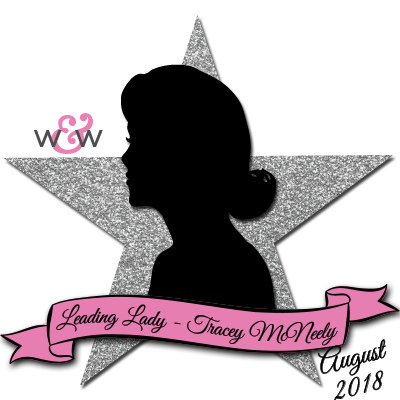 Thank you for all the wonderful comments that you left on my posts during August when I was the Leading Lady at Winnie & Walter! 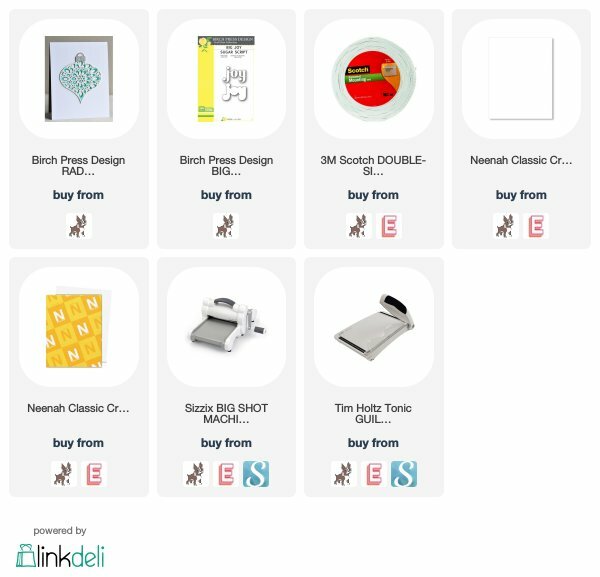 I am a bit late posting the winner of the $30 gift certificate, September so far has been a rather busy month. Your information has been passed on to Winnie & Walter. 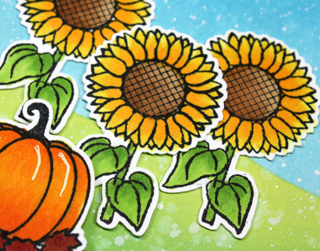 I have a postup on the A Jillian Vance Design Blog today using the fun Perfect Pumpkin Die Set to make another autumn card. 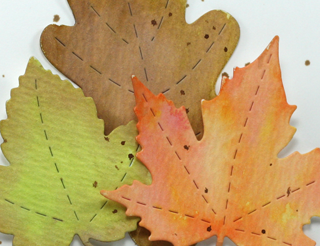 Full instructions and the product I used are over on the blog, see you there! 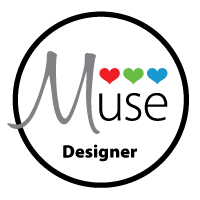 It's time for another new challenge at Muse! 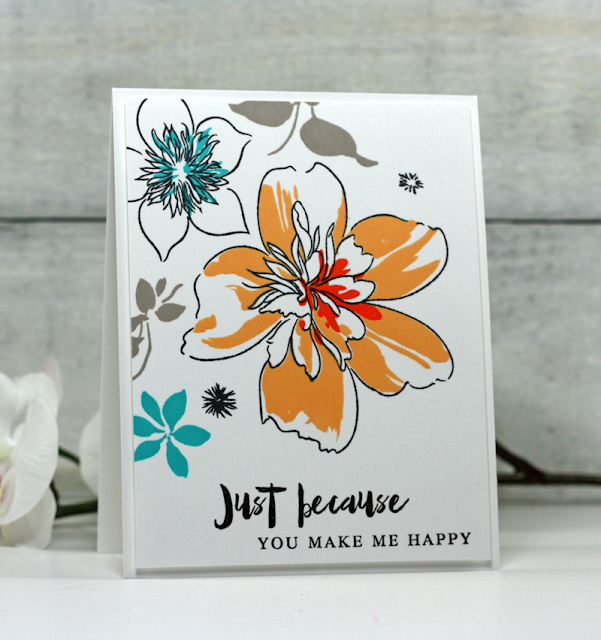 So excited to share a card this week using the gorgeous new Altenew Floral Art stamp set. So easy to line up and I love the artistic feel of these blooms. 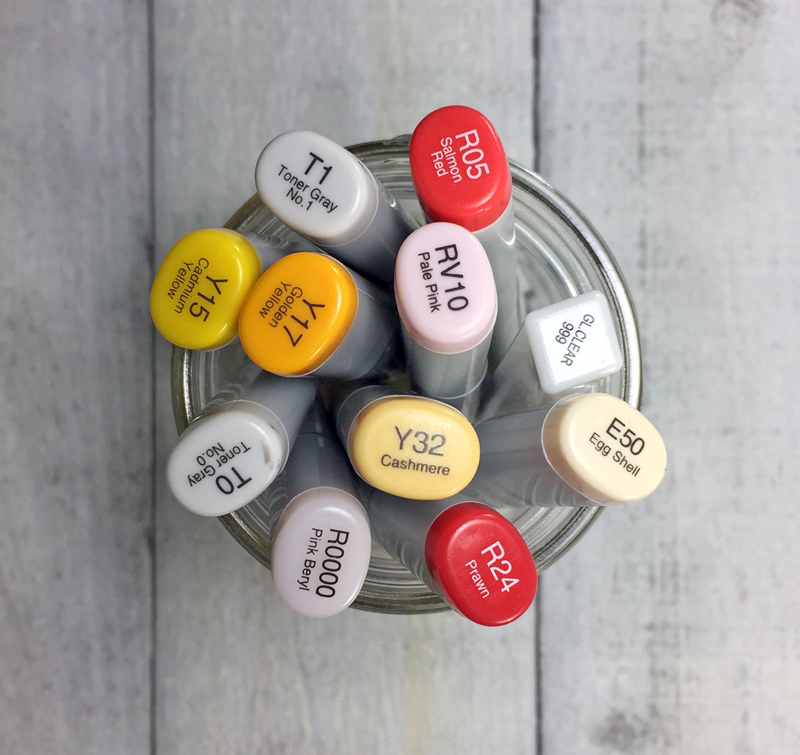 I cannot wait to see how you are inspired to create this week, see you over at Muse! 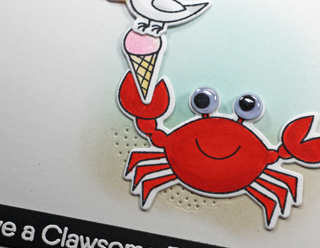 I'm also submitting this to this week's Simon Says Wedneday Challenge Stamp On It! 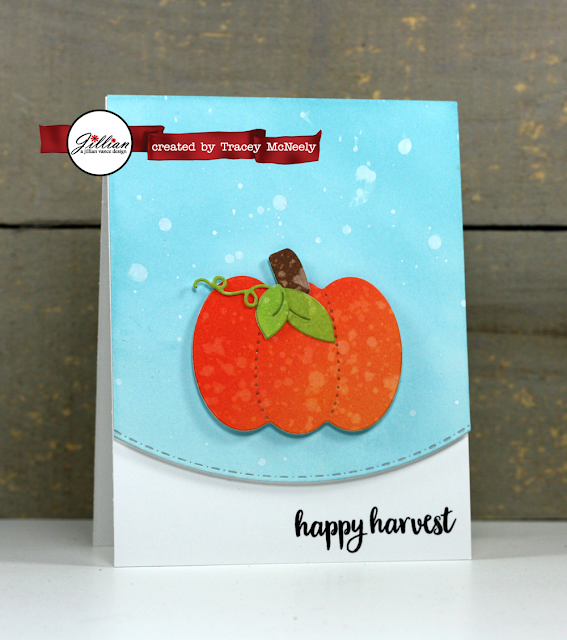 I am up on the Birch Press Design blog today with a video tutorial making this card using the brand new Radiant Ornament Layering dies. Non traditional Christmas colours since it is still summer--lol! Hope you have a chance to pop over to the post and let me know if you enjoyed my video! 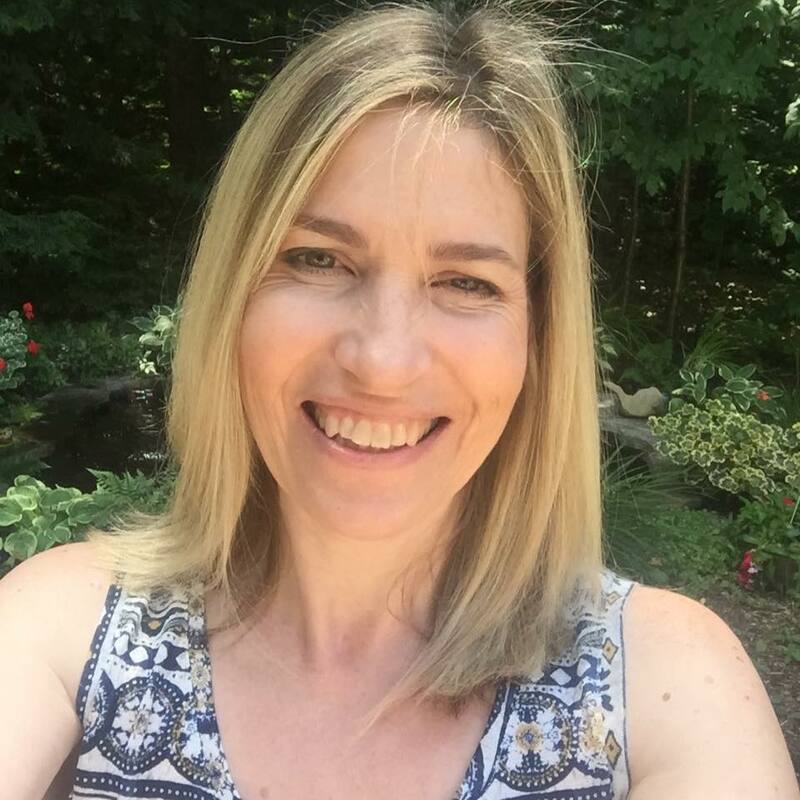 I am so excited to be posting today as the newest member of the A Jillian Vance Design Team! I will posting over on their blog every Tuesday to share some inspiration using Jillian Vance Design products with you! 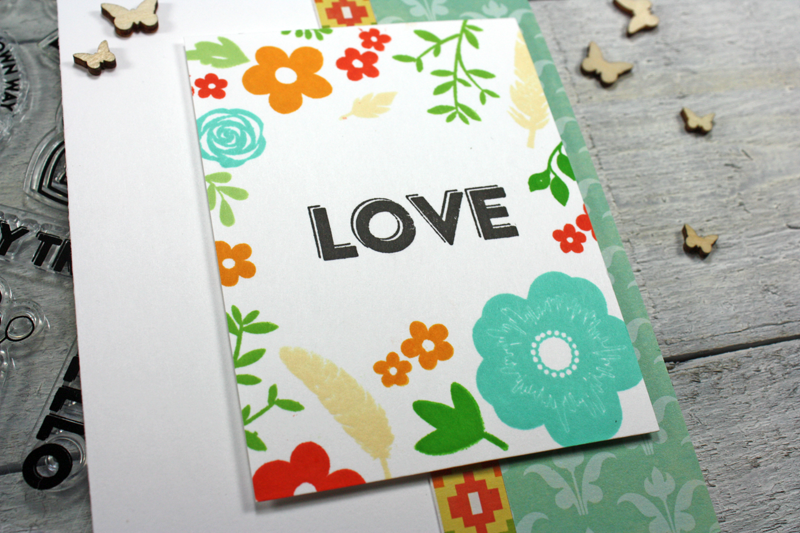 Today I have instructions on how I made this card over at A Jillian Vance Design! Hope to see you over there.